Climate change is making headlines. Media outlets around the world frequently report on the latest developments around global warming, never shy to weave dramatic calls to action into their coverage. ‘We must act now!’ and ‘The world needs to do more!’ are variations on a common theme we can read about almost daily. As well-intended as these pleas are, they are usually completely ineffective at triggering action. Why? Because they are simply not actionable for anybody. Widespread coverage of climate change is important for raising awareness and creating a sense of urgency among the broader public. It is also essential for directing the attention of decision-makers to the goals we need to achieve and the solutions that might get us there. But too many journalists and climate advocates address their calls to action to nobody in particular, refer to indicators that are over-aggregated and over which few people have any agency, and offer no concrete information about the pathway to actual change. Here are some examples. In an op-ed for the New York Times, John Kerry said that we must ‘put in place policies that will tackle global climate change.’ In a comment in Nature, some of the world’s leading climate advocates implore ‘people in power’ to ‘stand up for science’ and ‘encourage optimism’. They call these appeals ‘practical steps’. These contributions are laudable efforts to keep the world’s attention on the issue, but they beg the question: Who is the audience for these pleas? Who do the authors expect to take action, what kind of action, and how? It’s hard to imagine that anybody will add ‘create emergency plan’ and ‘encourage optimism’ to a personal or professional to-do list. Some people may counter that we know exactly what needs to be done to avoid dangerous climate change: Manage a rapid and far-reaching transition of almost every part of our economy, reduce carbon dioxide emissions from human activity to zero by 2050, and drive widespread adoption of carbon dioxide removal technology, for instance. While I agree that these are the right policy goals, my point is that a goal represents an outcome, not an action. An outcome is what we want to achieve with a set of interventions, the result we seek to produce. On the causal chain that links actions with results, outcomes sit near the end, at a great distance from where real-world interventions take place. You cannot make people produce outcomes, you can only motivate them to take actions that might lead to such outcomes. And that’s why the media’s confusion between outcomes and interventions breeds inaction. This problem is rooted in two related but separate issues. The first issue is that journalists and climate advocates typically reference the wrong type of indicators when describing goals or commenting on progress in the context of climate change. Indicators are metrics that measure the state or change of a system in a quantified and objective way, and they usually fall into three categories based on when they change relative to a system of interest: Leading indicators change before, lagging indicators after, and coincident indicators concurrently with the system of interest. In economics, for instance, construction permits are a leading indicator of the activity in the housing market, the consumer price index (CPI) is a lagging indicator of an economy’s inflation, and the rate of employment is a coincident indicator of an economy’s overall performance. 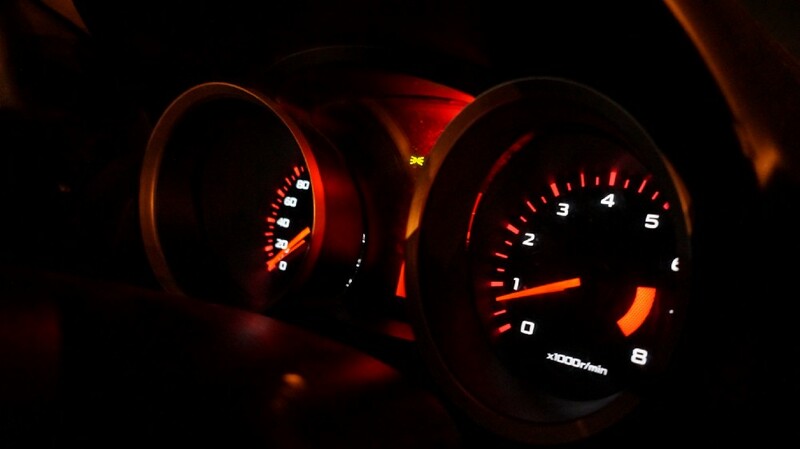 A speedometer is an example of an actionable coincident indicator. It provides real-time information about the rate of change (speed) of a system (car). The driver can directly influence the indicator’s value (agency) by operating the foot pedals (route to impact). We use both political and scientific indicators to define objectives and track progress in addressing climate change. The most important political indicators are enshrined in the Paris Agreement, including the ‘well below 2 degrees’ target and the emissions reduction pledges of each signatory country. And the essential scientific variables for understanding the Earth’s climate are defined by the World Meteorological Organization, including air temperature, seawater salinity, and glacier melt rates. The overwhelming majority of these metrics are lagging indicators. They sit in the domain of outcomes and measure quantities so far down the causal chain that they function as nothing more than abstract ambitions. The second issue is that many climate indicators used by journalists and climate advocates, even those upstream in the causal chain, are poorly designed. An indicator becomes actionable if it meets three conditions. First, the indicator must sit on the right level of aggregation. A highly aggregated indicator, such as worldwide emissions from deforestation, carries the promise of great leverage. But only a relatively small number of people, such as heads of states and corporate CEOs, can influence it. A highly disaggregated indicator, such as personal meat consumption, typically exerts less leverage but can engage more people. The challenge is to master a balancing act between the potential for influence and the possibility of engagement. Second, the indicator must come with clearly assignable responsibility. It must be possible to identify the individuals whose actions directly impact the indicator, and these people need to have both perceived and actual agency. And third, the indicator must have a well-defined route to impact. To the individuals with agency, it needs to be evident how their decisions are going to affect the indicator. Why is all this important? Because indicators matter. Donella Meadows, a scholarly pioneer in systems thinking, identified indicators as powerful leverage points for changing systems. Indicators sit at the center of decision-making processes and their presence, absence, or prominence can greatly affect the behaviour of a system. Introducing actionability into our indicator landscape will change the nature of the debate from obscure to tangible, from vague to specific. By disaggregating a collective action problem into a set of contributing drivers, we can assign distinct tasks to identifiable individuals in politics and business. This provides NGOs, journalists, and civic leaders with a tool to hold these agents of change accountable for their actions, stripping them of the opportunity to use collective inaction as an excuse for their own omissions and complacency. Redirecting our attention to indicators further upstream in the causal chain will also change how we think about policy. At the moment, a growing sense of urgency and apprehension makes us manically repeat the same bold but unactionable policy goals. As I argue in a separate article, such over-ambition can cause paralysis. How do we fully decarbonise the world’s vehicle fleet? Nobody knows for sure. How do we engage and motivate young people not to apply for a driver’s license? That sounds much less daunting. Actionability can resolve paralysis by assigning responsibility, strengthening agency, and showing a clear route to impact. It nudges us to think about the problem differently and entertain interventions we haven’t considered before. This may lead to novel policy approaches and reduce ‘apocalypse fatigue’ and global warming cynicism. So to leverage the reach and influence of journalists and climate advocates more effectively in service of climate action, we need to develop a new set of indicators. These new indicators need to meet all the standard criteria of effective indicator design such as measurability, clarity, and relevance. In addition, they must be leading, not lagging, sitting firmly in an upstream segment of the causal chain, in the sphere of intervention. And they must be actionable, defined at the right level of aggregation and with clearly assignable responsibility and specific routes to impact. Let’s consider some ideas for such actionable leading climate indicators. In the transportation sector, we should stop obsessing over the share of electric vehicles on total vehicle sale and instead focus on the number of driving licenses issued by transportation departments or the perceived safety of commuters. In the energy sector, we should de-emphasise the share of renewables on total capacity new-build and focus on the fraction of consumers subscribed to their utility’s all-renewable product. In finance, we should start measuring the number of financial sector regulators mandating carbon risk disclosures and the percentage of banks with corporate policies against lending capital to fossil fuel companies. And in education, we should focus on teacher training rates and on the fraction of business schools covering sustainability in their MBA core curricula. Donella Meadows suggested that any indicator development process should start from the notion that indicators are part of a broader information system characterised by hierarchy, access, and sources. The process should bring together experts, practitioners, and end users in a co-creative design exercise. And it should consider the principles and insights of systems thinking to identify leverage points, linkages, feedback loops, and the risk and mechanisms of unintended consequences. There is a famous management adage positing that ‘what gets measured gets managed’. If we want to manage for change, we must start measuring for actionability. A multilateral initiative or an apolitical organisation with institutional credibility and influence, such as the United Nations Environment Programme or the Union of Concerned Scientists, should sponsor and oversee a new Actionable Climate Indicator Initiative. An organisation experienced in orchestrating multidisciplinary communities and managing innovation processes, such as EIT Climate-KIC (of which I’m an employee), could be tasked with managing the initiative at large. The technical indicator design process should be led by one or more organisations with deep knowledge of systems thinking and sustainable development, such as the International Institute for Environment and Development or the International Institute for Applied Systems Analysis. One such organisation should receive a mandate to monitor and evaluate the new indicator set and derive lessons for possible iterations. Academic institutions should be tasked with monitoring and evaluating the use and effectiveness of the new indicators in the media, for instance the Yale Programme on Climate Change Communications or the Center for Climate Change Communication at George Mason University, together with media platforms such as Climate Tracker and Carbon Brief. Scale-up should be supported by non-profit organisations with reach, such as the Climate Action Network, the Climate Reality Project, and the Solutions Journalism Network.